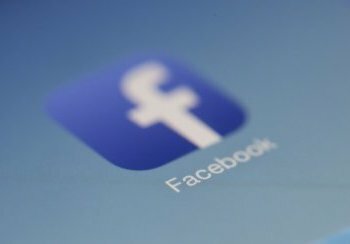 Facebook will no longer store any user data, according to the latest in a series of leaked documents from the technology company. The document came into the possession of New York Times lead techno journalist, Dr Randy Piper, who decided to upload the missive onto Pastebin.com, but accidentally did so while logged in as himself. The details of the document reveal that Mark Zuckerberg has told his employees to begin wiping the existing databases as he is "no longer interested in selling people's souls without their express knowledge and understanding". The statement has caused a minor ripple amongst the internet world, with many unaware that this was indeed the current state of affairs. "I didn't know I'd literally signed my soul across to Facebook," said Mandy Manderson, of Manderson County, Florida. "But when I checked the terms and conditions, and then thought about the fact that I'd handed over every detail of my life, my children's and friends lives, my photographs, my likes, fears and desires, both past and future, sexual preferences and history, the running minutia of almost every second of every day... I started to get an impression that perhaps I was a tad overexposed. They essentially own me." Zuckerberg's announcement, albeit in an email sent exclusively to the Facebook development team, and which could be a complete fabrication, is likely to have no effect on the company's position in the stock market. Facebook makes money only when a user installs their app onto their phone, or visits their website, and the data they hold on 98.5% of the planet's human population is essentially a useless collection of bits, bytes and bats. This, says Dr Piper, is why Zuckerberg is happy to press the delete button. "Oh yes, it's very much Format C: /y. Or, for your Linux chappies, rm -rf. It's only data. It's not a problem." You know when you turn on the radio and there are song lyrics in your head... that's like this mment.